Choosing a health plan can be a daunting task for employees. Help them select the best plan for their situation. Helps employees determine the appropriate level for pre-tax HSA contributions to maximize saving potential. Coming soon! Help employees analyze and improve their finances to improve their overall health and wellbeing. 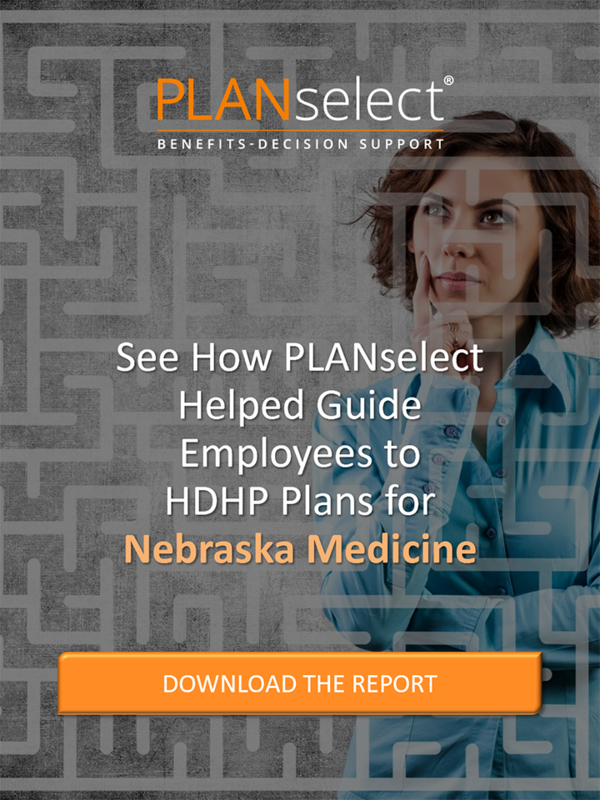 PLANselect® helps employees choose the health plan that will likely result in the lowest overall cost and best value given anticipated medical needs. After answering a few multiple-choice questions, the proprietary algorithms provide a personalized financial analysis and plan comparison, which considers premium costs, employee out-of-pocket costs (co-pays, deductibles) and employer contributions. The whole site, including the intro video, is available in English and Spanish. Unbiased. Simple to use. Informative.